Over the past week, two important figures in the experimental music world, Joseph Jarman and Alvin Fielder, passed away. 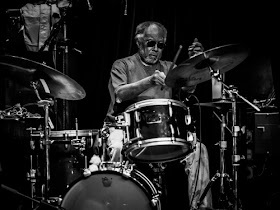 Alvin Fielder in 2015. Photo by Peter Gannushkin. 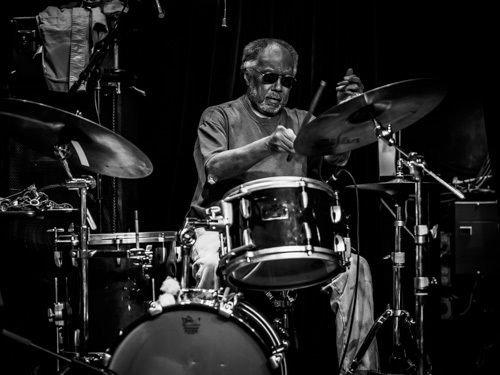 Alvin Fielder was a founding member of the AACM and a drummer with a long list of collaborators including Muhal Richard Abrams, Sun Ra, Fred Anderson, Roscoe Mitchell, and in recent years Damon Smith, Andrew Lamb, Joe McPhee and Kid Jordan. Fielder played on Roscoe Mitchell’s seminal Sound Fielder was well regarded for his work as an educator. Joesph Jarman in 2010. Photo by Peter Gannushkin. 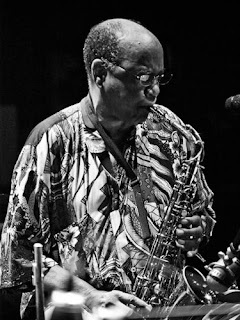 Joseph Jarman was also a founding member of the AACM and of the Art Ensemble of Chicago. He was a saxophonist and composer who, both with and outside of the AEoC, released a well regarded body of work. Jarman was also Buddhist priest and had left AEoC for 10 years in order to pursue this interest, before returning in 2003 and forming other musical partnerships. Robert Barry (December 4, 1932 - January 8, 2018) - played a.o. with Sun Ra (also The Space Trio - pre Arkestra), Fred Anderson and Ken Vandermark. I am listening to the CD 'Old Time Revival' by the Dennis Gonzalez New Southern Quintet, with Alvin Fielder on drums and Malachi Favors on bass. RIP. Indeed, 'Old Time Revival' by Gonzalez is great. Even better in my opinion is his 'Debenge-Debenge' on Silkheart Records, w/ Fielder plus another drummer, W.A. Richardson. Outstanding stuff. I also had the pleasure of hearing a live gig by a trio of the pianist Joel Futterman, Kidd Jordan, and Alvin Fielder. Will remember that for the rest of my life.